Involved for over thirty years in the politics of Iraq, Ali A. Allawi was a long-time opposition leader against the Baathist regime. In the post-Saddam years he has held important government positions and participated in crucial national decisions and events. 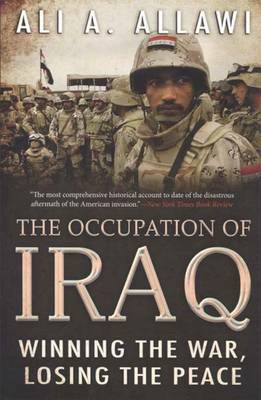 In this book, the former Minister of Defense and Finance draws on his unique personal experience, extensive relationships with members of the main political groups and parties in Iraq, and deep understanding of the history and society of his country to answer the baffling questions that persist about its current crises. What really led the United States to invade Iraq, and why have events failed to unfold as planned? The Occupation of Iraq examines what the United States did and didn't know at the time of the invasion, the reasons for the confused and contradictory policies that were enacted, and the emergence of the Iraqi political class during the difficult transition process. The book tracks the growth of the insurgency and illuminates the complex relationships among Sunnis, Shias, and Kurds. Bringing the discussion forward to the reconfiguration of political forces in 2006, Allawi provides in these pages the clearest view to date of the modern history of Iraq and the invasion that changed its course in unpredicted ways.